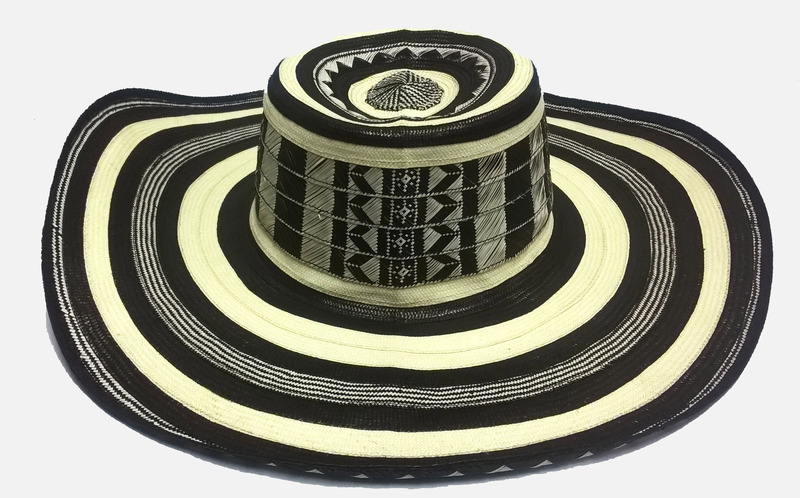 Colombian Vueltiao sombrero, handmade with 23 cañaflecha strips. Superior craftmanship, notably softer and lighter than the 21 lap Hat. ONE STANDARD SIZE. Includes adjustable band with the same motive of the sombrero. View large picture.